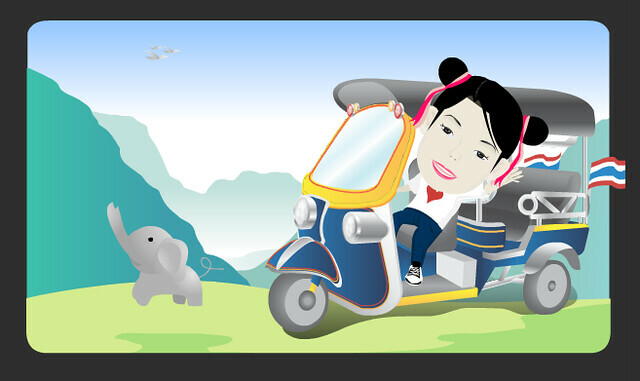 Girl Kuripot Girl Kuripot: Win a Trip to Thailand Plus $3000 Cash! Ever been to Amazing Thailand? I've been there only in cartoon form (look below). Cute, huh? Here's a chance to go there for real and spend for an all-expense paid Amazing 10 Days in Thailand! Pick your 5 most favorite places from the 100 in the Amazing Thailand list and create an e-card like the one I have above (also fill in your details). Send e-cards to as many people as you can! The competition ends on August 31, 2011 11:59 p.m. GMT +7! I couldn't find the exact details on the prizes exactly but there will be 3 winners (Grand, 1st and 2nd) for this Thailand tourism campaign. Click here to participate or know more about the Amazing 10 Days in Thailand Competition!